A rise in dangerous and even fatal asthma and other allergic attacks – as occurred in Melbourne's deadly 2016 'thunderstorm asthma event' – could be one of Australia's biggest health challenges from climate change, warns the author of a major new review of international evidence. The review in the latest issue of Public Health Research & Practice, published by the Sax Institute, looks at studies since 2000 relating to climate change, allergens and allergy. It includes recent research from Europe and North America that finds higher temperatures and more carbon dioxide in the atmosphere will significantly boost levels of allergens in the air such as grass pollen. At the same time, the pollen season is changing, starting earlier and going on for longer. Again, the result is substantially more pollen in the air. 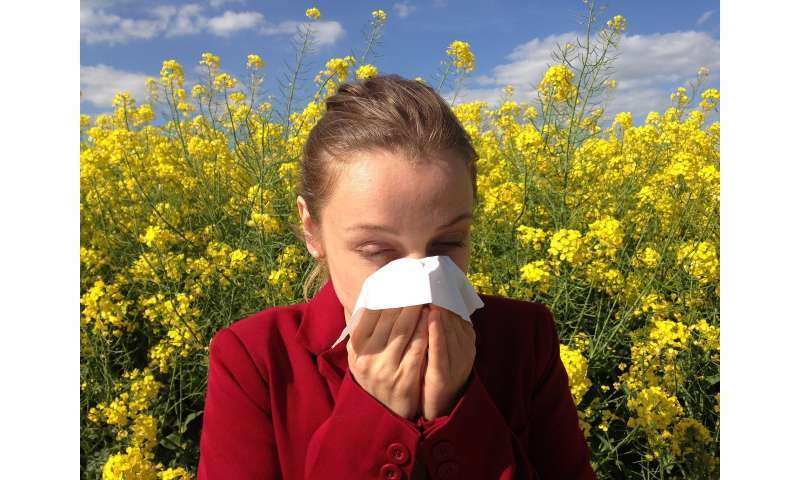 However, the review's author, Associate Professor Paul Beggs, from Macquarie University's Department of Environmental Sciences, Sydney, found that almost all the research about climate change's effects on allergies is from overseas, and Australian-focused research "is therefore urgently needed". Associate Professor Beggs also found that Australia's systems for monitoring, reporting and forecasting atmospheric concentrations of allergens such as pollen were not fit for purpose. The review notes that allergic illness is "already a very significant public health issue in Australia". Asthma prevalence in Australia is among the highest in the world, with some estimates suggesting one child in five has wheeze symptoms and one in 13 has asthma. In November 2016, Melbourne experienced "the world's largest, most catastrophic epidemic thunderstorm asthma event" that caused thousands of emergency department presentations, hundreds of asthma-related hospital admissions and 10 deaths. The odds of such extreme weather events are greatly increased with climate change, the review finds. "It could be argued that these impacts pose a serious climate change-human health risk to Australia and that they should therefore be among Australia's climate change-human health priorities," Associate Professor Beggs says. But Australia's research efforts in this area have been woefully inadequate, and much of the international research has been done in climates unlike our own, involving allergens that are not common here. Our allergen monitoring is equally poor, Associate Professor Beggs says, with no national, state or territory body having responsibility for the monitoring, reporting and forecasting of environmental allergens. What monitoring exists is sparse and sporadic. For example, in Melbourne, scene of the deadly thunderstorm asthma event, allergen monitoring only occurs for three months of the year. Elsewhere in Australia, monitoring remains precarious, with all sites either unfunded or subsisting on short-term funding.